Last week I share this delicious Crock Pot Pineapple Char Siu Pulled Pork recipe. The perfect topping and side dish for those Pineapple Char Siu Pulled Pork sliders would have been this Red Cabbage Asian Slaw Recipe. Except for the fact that I didn’t make it the day I made the Crock Pot Pineapple Char Siu Pulled Pork sliders. I just topped them with some of the red cabbage. It was only after I did that and took my photos that I thought to myself….why didn’t you make an Asian Slaw recipe to go with those sliders? Sometimes I am so in the zone when I am working my brain just won’t let me think ahead like that. I have a plan and I’m sticking with it! 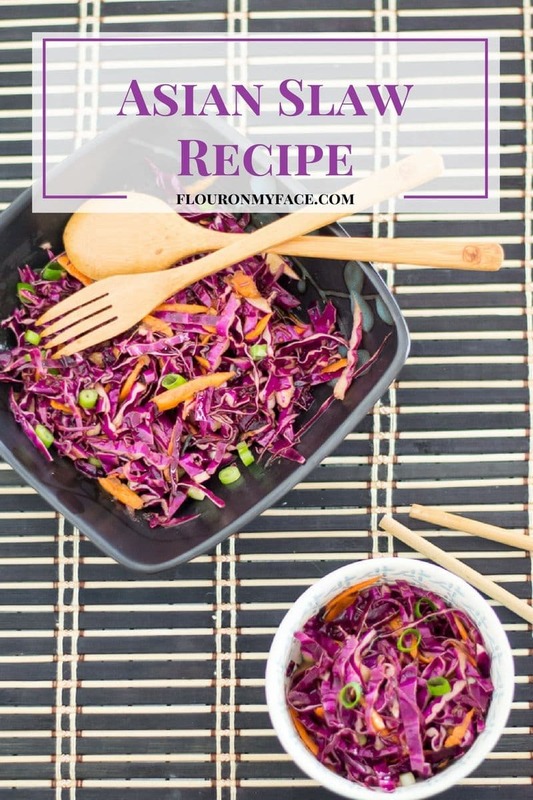 So here you are – an Asian Slaw recipe (a couple of days later) to go with my Crock Pot Pineapple Char Siu Pulled Pork should you decide you need some Asian Slaw to go with them or any other Asian dish you might happen to be making. You can check out the Crock Pot Pineapple Char Siu Pulled Pork recipe here. Don’t you just love the bright purple color of this cabbage. Red cabbage comes in a few different bright and bold colors. It ranges in color from a deep bold maroon to a lovely bright purple like what you see here. I haven’t noticed a difference in the flavor, whether the red cabbage is maroon or purple. Mix all of the dressing ingredients in an airtight container and refrigerate at least one hour before making slaw. Mix the finely shredded red cabbage, the shredded carrot and green onion is a bowl. Drizzle dressing over slaw ingredients and toss well. 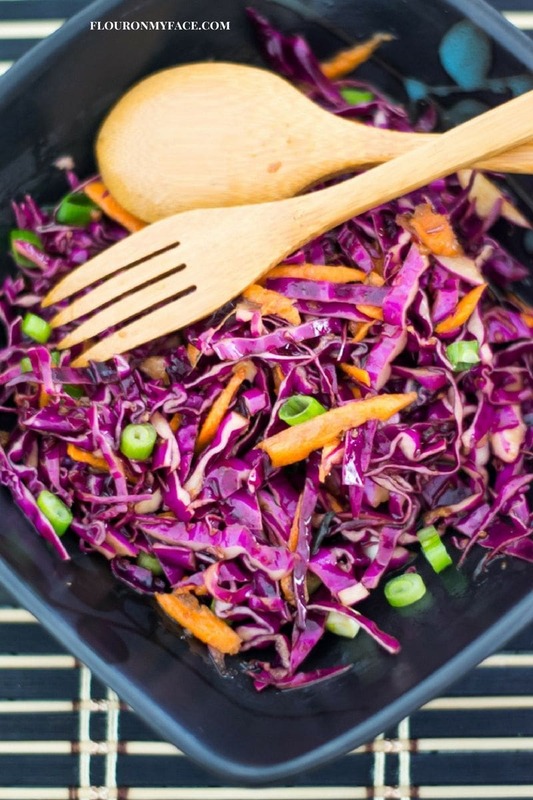 Print the Asian Slaw recipe below. 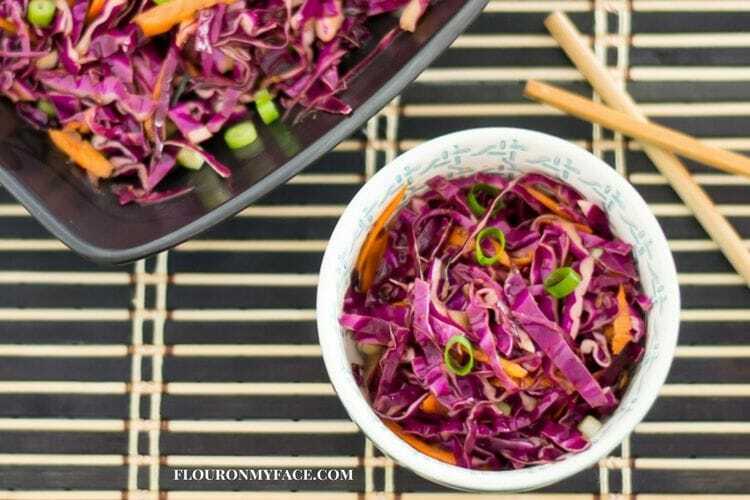 This Asian Slaw recipe is a perfect side dish recipe to go with my Crock Pot Pineapple Char Siu Pulled Pork Sliders. 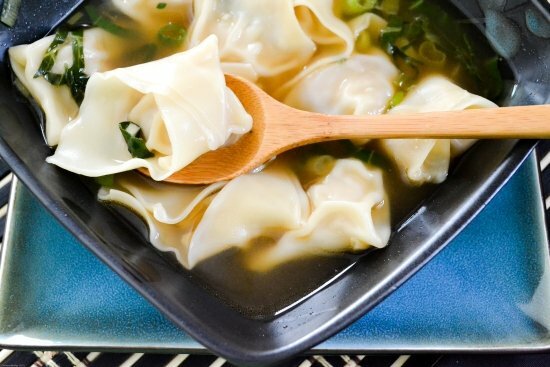 East to make and tastes delicious. 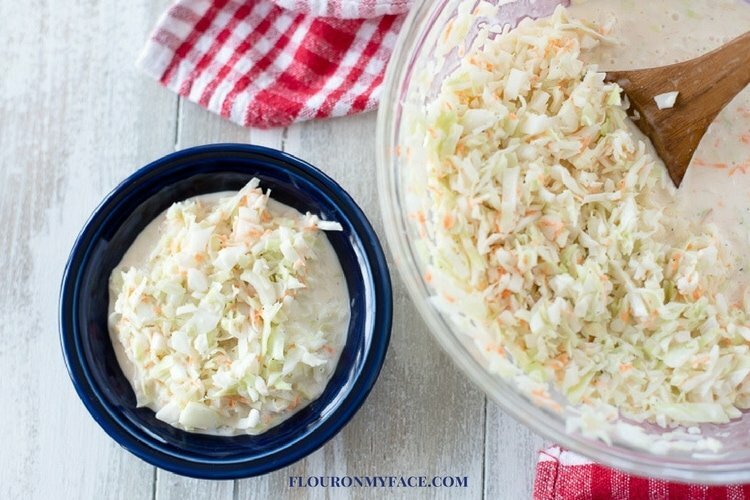 If you love slaw recipes you might like to check out my Copycat KFC How to Make a Sweet Coleslaw recipe also. I took this recipe and changed it up, to make it my own. I used green cabbage. I doubled the dressing recipe and then used 1/2 of it to marinate 1 pound of shrimp. A quick saute; served shrimp with brown rice and slaw on the side. Today, I served the leftover shrimp with slaw and dressing over a bed of fresh, raw spinach. Awesome Asian salad. This dressing is absolutely delicious! Thank you so much for stopping by. I’m so happy to hear that you loved the recipe. Love the way you you made it your own. I bet shrimp tastes delicious cooked in the dressing. I am going to have to try it myself! Pinned to try this later. Sounds delicious! I love these types of dressings….excited to try this.